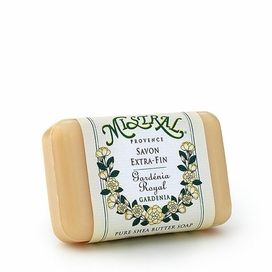 Minstral's founder, Matthew Tilker, was inspired by an old soap master while on a trip in Provence, France. This soap maker's artistry, love of craft, and extraordinary knowledge and experience in soap making inspired Matt, ultimately leading to the Mistral brand. Before creating his own line of fragrances and formulas, Matthew imported soaps directly from Provence and sold them at his mother's home during the 1994 holiday season. Soon after, he decided to take his knowledge and experience and create his own line of products that capture the essence of Provence. At the heart of every Mistral product is a special fragrance crafted in Grasse, followed by France's traditional and meticulous art of soap crafting. The lush landscape of Southern France serves as an inspiration to the brand's essence and is meant to carry through to inspire and transform those who use Mistral products. By blending the best of modern science with the age-old wisdom and traditions of the past, each of Minstral's body care products, soaps and fragrances give you the chance to experience the scents and colors of Provence as part of your daily bath and beauty moments.